Pearls & Pixels: Beach Party Event ! Don't Miss It ! Beach Party Event ! Don't Miss It ! 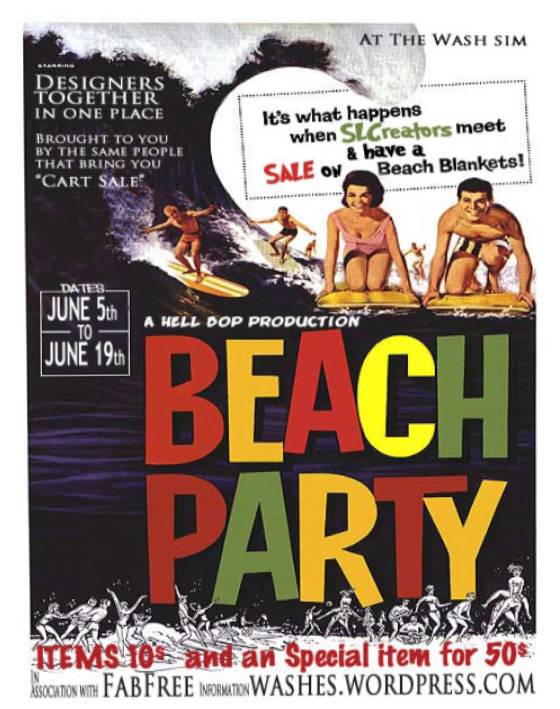 Did You know the "Beach Party" event?! At the Wash sim, from june 5th to june 19th, all items cost 10L & special items 50L ... don't miss this opportunity! * In the shop "Pure" you will find many other clothes for both men and women, only 10 L!